It’s 2014 – Happy New Year! My family tried to stay up to watch the ball drop in our Central time zone, but one by one, we failed. My husband went first (I don’t think he really tried, it was only 9:30), then my daughter at 11:00, then my son at 11:45, and myself finally succumbed at 11:55 I think. Oh well, we all made it to today! 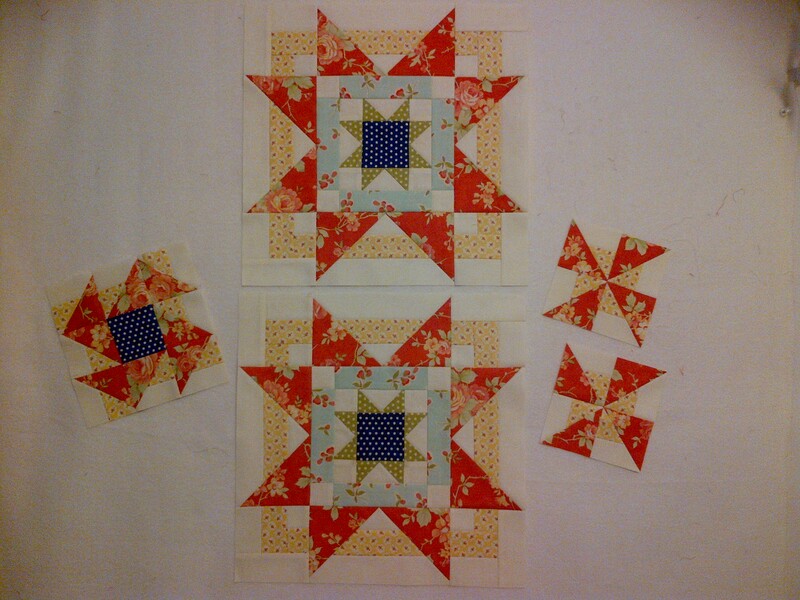 I am hoping to do something quilty every day this year. Blogging doesn’t count, so this will be a fast post. And these pictures below don’t count, because I did the work last night. It feels a bit odd to switch into this color scheme after working so long in the antique red, creams and tans of Midwinter Red. But it is so uplifting too to change gears! I continue to love AVALON by Fig Tree Quilts. 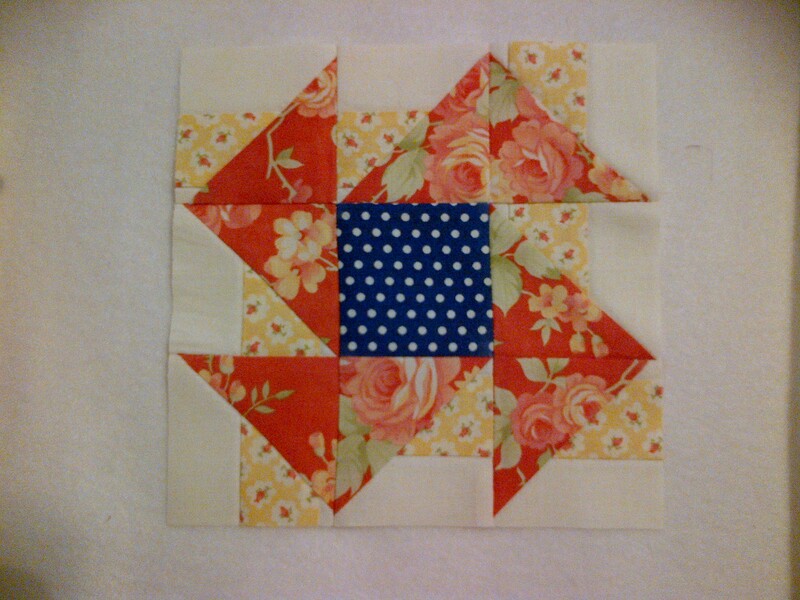 I had a total of 16 remnants when I made the block of half square triangles. 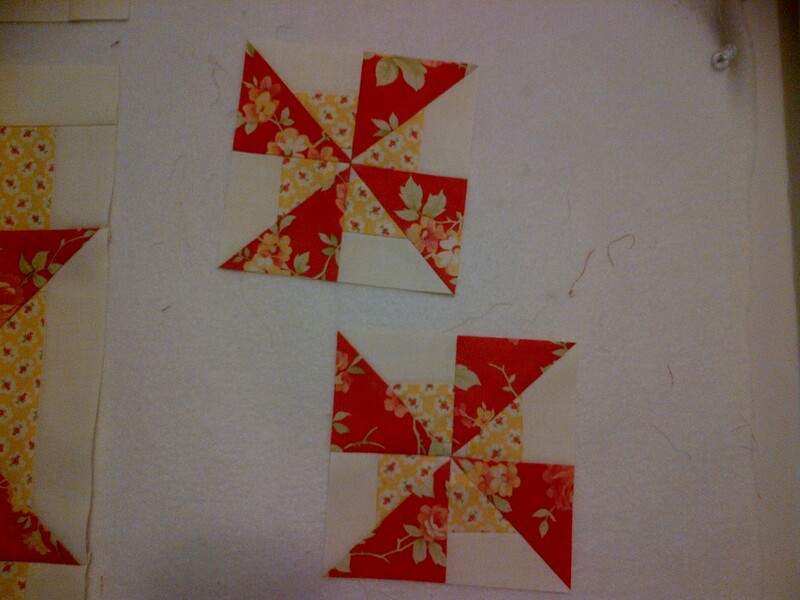 I used 8 to make the two pinwheels and the other 8 in a pattern to form a flower around a polka dot center. Not sure if or when I will use them, but I think they will come in handy when I am faced with two sets of blocks to make two quilts and I have one finishing kit. 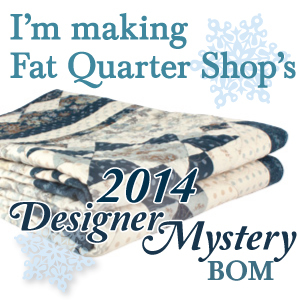 I hope you had a great start to the year and have lots of quilty plans as well. 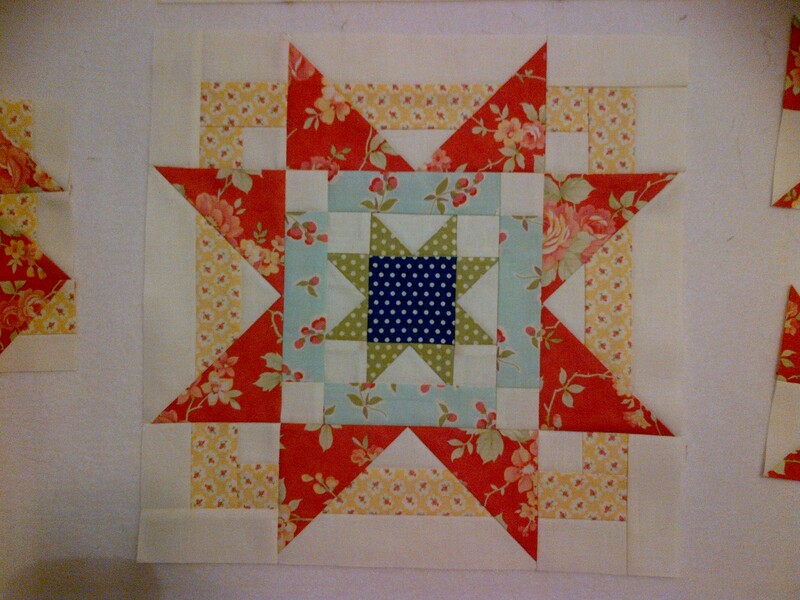 Must go now, I have some quilting ‘me time’ to get to before we get to bed! Oh man, I love what you are doing! Happy New Year! You make me want to copy you!!! That is a real compliment Sinta! I aspire to keep up with my blog idols (you included! ).